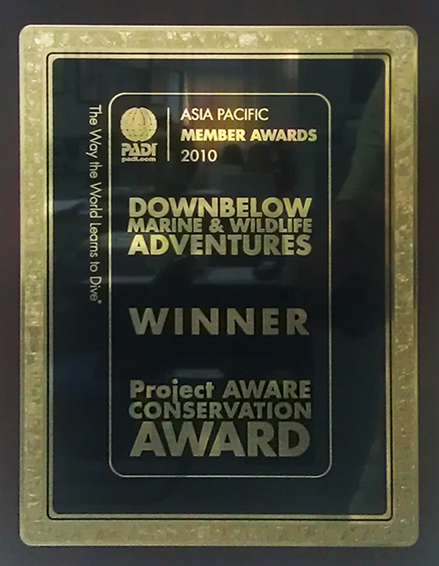 “To better recognize the achievements of those PADI Dive Centres and Resorts who have made significant contributions to the growth and development of diving. PADI Asia Pacific is pleased to announce the finalists and winners of this year’s PADI Asia Pacific Member Awards program which recognizes their efforts from 2009. The PADI Member Awards program was based on nine separate Asia Pacific regions; a system that ensured PADI Members compete with other PADI Members within their own geographical region for one of five Awards. All PADI Dive Centres and Resorts within each of the nine regions were considered for nomination by a specially convened selection panel, who selected up to three finalists for each of the awards. A panel of PADI judges then considered all of the finalists within each region and we are very pleased to announce the following finalists and winners of this year’s awards.